For many people, the main appeal of George Lucas’ “Star Wars” movies is the “Jedi Way,” the philosophy/religion that guides the mystical Jedi knights. But where does this philosophy come from, and does it hold up under scrutiny? At root, the Jedi Way is a synthesis of three Eastern religions or philosophies, with an overlay of courtly behavior drawn from the medieval knights of Europe. The most important source for the Jedi Way is Taoism, an ancient Chinese philosophy whose name is generally translated as “the Way” or as “the Way of Nature.” The two main goals of Taoism are to achieve balance and to exist in harmony with nature (and with all living beings). There is no deity as such in Taoism, which conceptualizes ultimate reality as a primal energy. This energy is expressed in the world in the form of two equal and opposing forces, the “yin” or passive female force, and the “yang” or active male force. These forces are neither good nor evil, and what is desirable is that they be in balance at all times. The second major source of the Jedi Way is Buddhism, specifically Zen, a variant found largely in Japan. As with most forms of Buddhism, Zen preaches “non-attachment,” the letting go of emotional bonds to people, places and things. The ultimate goal is to reach a selfless state of dispassionate compassion for all living things. Like the Jedi knights, Buddhist monks are ascetic and celibate. Zen monks are known, at least in the popular imagination, for developing a particular ability or craft to the point where it can be practiced with no conscious effort and nearly superhuman skill. The third major source for the Jedi worldview is Zoroastrianism, an ancient Persian religion which viewed the world as an eternal battlefield between the forces of good and evil. Although Zoroastrianism has only small pockets of practitioners left in the modern world, it was a major influence on many other philosophies and religions. Echoes of it are present in many places, including the way many modern Christians conceptualize the devil as a force opposite and nearly equal to God. Finally, the Jedi philosophy is overlaid with a code of chivalry based on that practiced by the medieval knights of Europe, who operated by a code of ethics including strict rules for combat, high standards of courtesy, warrior virtues such as honor, loyalty and bravery and a veneration of courtly love. The knightly facet of the Jedi is exemplified in the movies by their preference for the “elegant” light sabers as opposed to the “barbaric” blasters. The remarkable synthesis Lucas achieved in placing together these disparate elements has proved compelling for more than one generation of viewers. However, as a workable philosophy it has major flaws. The first and most subtle of these is the conflict between Taoism and Buddhism. Although often linked in real life, Taoism and Buddhism do not always line up. In the first chapter of the “Tao Te Ching” (the chief text of Taoism) it says “let go of desires in order to observe the source, but allow yourself desires in order to observe the manifestations.” This indicates that both “attachment” and “nonattachment” are seen as having value in Taoism, as opposed to Buddhism. In addition, the Buddhist seeks to transcend the world and earthly existence, whereas the Taoist seeks to be fully integrated into the world as a part of nature and natural existence. In the movies, this becomes an issue in the way that the Jedi Council is aloof and independent from politics, yet simultaneously also deeply involved in the galactic political landscape. The second conflict is between Taoism and Zoroastrianism. 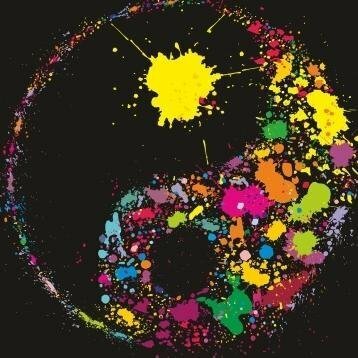 There is no “good” and “evil” in Taoism, only balance and imbalance. Neither Yin nor Yang is preferable, and both are necessary, as apposed to Zoroastrianism, where the ultimate goal is the triumph of good and the eradication of evil. This disconnect shows up as a major plot point in the second series of movies (I, II & III), where the prophecy of “balance in the Force” may possibly mean the rise of evil. The third conflict is between Buddhism and Zoroastrianism. Again, the concept of a fight between good and evil is somewhat alien to Buddhism. A fallen Buddhist would not be an equal and opposite force to a good Buddhist, but simply someone who had become too caught up in the illusions and the material temptations of the ordinary world. A person of this sort might be cruel, venal and selfish, but would not be expected to have any particular spiritual power. This creates a paradox in the movies, in that the Jedi draw power from controlling their emotions, but the Sith draw power from their inability to control their emotions. In addition it creates another instance of cognitive dissonance as the wise and dispassionate Jedi choose over and over again to resolve their problems through violence. The final conflict is between Buddhism and chivalry. Buddhism preaches non-attachment, but one of the key characteristics of the medieval knights was passionate attachment. Loyalty to one’s lord and to one’s comrades-in-arms was among the highest virtues, and a courtly, romantic (and theoretically chaste) love between a knight and his lady was celebrated as an ideal. Also, in as much as chivalry stems from Christianity, it carries the idea of love as a powerful redemptive force. This disconnect creates some of the most powerful paradoxes in the movies. In the first series (IV, V & VI) Yoda and Obi-Wan counsel control of emotions, and warn Luke against the dangers of his affection for his friends, and his unreasonable love for his father. Yet it is Luke’s decision to ignore this seemingly wise advice that provides most of the high points of the first series. In the end, Luke is proven right when his ill-advised love for his father finally uncovers the good left in Darth Vader, and brings about the final end to the Sith. Therefore, love is ultimately shown to be even more powerful than the light side of the Force (which failed to conquer its counterpart in all five chronologically previous movies). Conversely, the second series suffers from taking its doctrine of non-attachment too seriously. The Jedi Council consequently comes across as cold and uncaring –a fact which drives Anakin into the more hot-blooded arms of the Dark Side. In addition, this set of movies is in the strange position of positing love as the enemy. Although Anakin clearly has psychotic tendencies, the movie insists on blaming his moments of indiscriminate slaughter on his “love” for his mother and his wife. Even Obi-Wan’s platonic love for his padawan does nothing except cloud his judgment. It is this too-fully-realized disdain for emotion that, more than anything else, makes the second series inferior to the first. “Kierkegaard’s Narrative” is an existential humanist plot outline named after the Danish philosopher Søren Kierkegaard. In general, it runs as follows: An aimless young man drifts through life, obsessed with aesthetics, and seeking sexual fulfillment with a series of women, yet never making substantive choices or real commitments. The climax of the story is the protagonist’s decision to commit to a single woman, and to enter into marriage. These characters are contrasted to a fourth, the “Married Man” who lives an existence that seems ordinary and mundane from the outside, but that is rich and fully lived on the inside. Walker Percy was probably the first to weave these distinct personas together into a single coherent plotline. In his book “The Moviegoer,” he traces the evolution of a protagonist who spends most of the book as an aesthete, a seducer and a “repeater,” and who finishes it on the verge of becoming Kierkegaard’s “Knight of Faith” –the married man. (Percy also introduces an additional element, possibly also inspired by Kierkegaard, the death of a person close to the protagonist as a counterpoint to the protagonist’s desire to fully embrace life.) This book was widely admired, and the plotline passed into popular culture, where it has been the foundation of a number of well-regarded books and movies. The clever joke of this movie is the way it combines experimentalism and conventionality, a union that also happens to fit neatly into the Kierkegaardian model. Existential Humanist Act: Charlie throws himself into the screenplay –literally –and confesses his love for a female friend. The significance of the protagonist’s last choice in this movie is it represents his one selfless act of maturity and existential responsibility. Affairs: Fantasizes about seducing his daughter’s nubile friend. Repetition: Tries to recapture his lost youth. Clearly in the same mold, although there’s a sense that the protagonist’s aimlessness comes less from his own choices, and more from his over-controlling father’s drug prescriptions. Existential Humanist Act: Abandons his L.A. life for a girl he’s fallen in love with. This work makes the subversive suggestion that Benjamin’s proposal to Elaine is just another aimless, meaningless choice. Existential Humanist Act: Elaine’s choice to follow Ben despite having just married another man. This is an surprisingly sentimental movie for a comedy about suicide –a fact explained by the movie’s existential humanist heart. Affairs: Harold goes on a series of blind dates arranged by his mother. Repetition: Harold’s phony suicides are an attempt to recreate a single experience of emotional response from his mother. A popular book and movie of modern times which fits the model almost exactly. Existential Humanist Act: Marries his step-cousin. Like American Beauty, this movie shifts the narrative into midlife. Affairs: Jack’s affairs with various women. Repetition: Miles tries to regain the affection of his ex-wife. Death: Miles’ book “dies” (is rejected by the publisher) and he “kills” his treasured bottle of vintage wine. Existential Humanist Act: Miles pursues a relationship with a pretty waitress named Maya, even at the price of distancing himself from the hedonism represented by Jack. This movie externalizes the existentialism by creating a world whose purpose is to trap and immobilize the protagonist. Significantly, his existential act is to leave a loveless sham of a marriage, and not to commit to it. Aesthetic Preoccupation: Truman’s entire life is an aesthetic/entertainment experience, although he doesn’t know it. Repetition: Lives a repetitious life, and constantly returns to memories of a past relationship. Death: The faked death of Truman’s “father” –another symbol of the inauthenticity of Truman’s life.